Total Project Control – Manage your projects as investments. Reward Management on Projects: Shouldn’t Critical Path Workers Be Better Compensated? Sorry for the silence the past several weeks – first ,family visitors for a month. Then selling our house and moving back into the city, into a rental apartment. A big project and lots of hard work: getting the house ready for “showing”, then moving. Still lots of boxes to unpack, but at leastthe furniture is in, if not all in the right spot. The P&S agreement on the sale should be signed today. So I should be back on a regular basis hereafter. How rare, expensive and/or irreplaceable are the skills of the worker? What value do they add to the endeavor/organization? How hard/conscientiously did they work to provide that value? A is the factor that is largely determined outside the organization that provides the employment. It depends on things like economic conditions, lagging response of labor markets in the form of educational trends and programs, and migratory flexibility. It is also the factor that is most easily understood by the corporate HR Departments that set compensation levels. I well remember how in Boston from about 1997 to 2000, at any given moment there could be 10,000 jobs unfilled for computer programmers. Growing Internet usage, the dot-com bubble and the Y2K problem all combined to allow anyone who could qualify as a programmer to command a far greater salary than expert programmers could have done just a couple of years earlier, or would be able to do just a couple of years later. Companies and project teams were pleading with HR to boost salary offers to prospective new hires, and to give “stay” bonuses to programmers as incentives to not look elsewhere until their project was complete. HR departments were often quite resistant to offering what they felt were exorbitant incentives. They knew what salary levels for programmers had been shortly before (and although they couldn’t know it, soon would be again!) and did not want to blow the whole organization’s wage structure out of the water. But this reluctance (part of the phenomenon in economics that is known as wage-price stickiness) was hugely frustrating for project managers who needed new programmers to meet deadlines. They dreaded losing halfway through the project the specific programmer who had written the initial 50% of the code for a module. Yet Factor B above, the value the programmer was adding (or that would walk out the door with them if they left) was something that the folks in HR were not fully trained to comprehend. This is particularly the case regarding the disastrous consequences of delaying the critical path, especially in the charged atmosphere of product delivery in the high tech boom years! This all brings us back to the crucial item that is explained in depth in my book Managing Projects as Investments and is discussed in many of these blog articles (you can find them by searching under the tags “value/cost of time” and “delay cost”): the fact that on the vast majority of projects, the value/cost of time is being left as an unquantified externality. It is not enough to quantify time simply in units of days or weeks. Nor is it sufficient to say: “Time is very important,” or “We can’t be late!” A project team has to know what the impact of duration, shorter or longer, is on the expected value of the project investment. That way, decisions that maximize ROI can be analyzed and made across the Golden Triangle of scope, cost and schedule. The fact that must be recognized is that the refusal by HR to increase the offer to a new systems engineer by $20,000, or to provide a stay bonus of $15,000 to our current programmer, will result in an elongation of our critical path. At a drag cost due to reduced expected project value of, say, $100,000 per week! Those who frequently work on the critical path of projects or programs usually have a lot of pressure on them. And they should – their work carries great value to the organization and significant drag cost for the time they take. But failure of an organization to recognize the value of such resources and to provide adequate remuneration to keep the project skipping on down the critical path often results in a lose-lose for all concerned. My previous blog article “How to Determine the Expected Value of Those Crucial Enabler Projects!” generated quite a bit of interest and discussion. I wish that the discussion had taken place in the Discussion FORUM on this site, where everyone who read the article could also have participated and responded to comments. However, the comments were posted on a couple of LinkedIn discussion groups, so that is where I responded. If you want, you can read the comments in the Managing Benefits group. I think there was some confusion, for which I accept the blame for not being sufficiently clear. But these concepts are truly important. Understanding and identifying the nature and multiplied value of enabler projects on the program critical path offers opportunities to maximize investment value through acceleration of the entire program. Small increases in resource costs on the right activities on an enabler project can accelerate revenue or savings generation on the projects that are enabled. Below, I have expanded portions of my responses from the discussion groups. I hope they will help clarify the concepts for readers here. One of the interesting points in the discussion group was that the bridge project actually had no benefits without the rest of the program (i.e., the resort) and therefore no financial value. It all depends on how one defines “financial value”, doesn’t it? A very narrow, but not necessarily incorrect, definition would limit apply the term only to revenue producers. But even if one accepts that definition, it should be noted that I don’t use the term “financial value” at all in the blog article. “Financial value” in the narrow sense may all come from the revenue generators. But clearly there is lots of “business value” generated by the bridge — and indeed, all other program work, or why would it be included in the program? It can be savings, such as through improved efficiency. It can be value of a type that may not directly lead to revenues: lives saved through an immunization or manufacturing safety program, or an improved corporate image through a PR program. It can be the enabling or enhancing of revenue-producing work, such as through quality or marketing efforts. All of the above clearly have value. If corporate accounting methods choose to define them as having no “financial value”, that’s fine — accountants often don’t understand project management. But program and project managers certainly need to recognize the full value of all the above efforts and consider ways of increasing that value! Accelerate the delivery of the benefits thus enabled. This is the case in the Paradise Island program, where accelerating the bridge allows the revenue producers to start producing their weekly revenues faster. The business value estimate, and the impact of scope detail AND project duration on that value, is CRUCIAL information for decisions regarding a project within a program. That is the topic of that previous blog article (and indeed of the whole Total Project Control (TPC) methodology!). The project team cannot make optimum decisions unless it is aware of the impact on the program. That information should come from the program manager, who must understand it and inform the project team of the value/cost of time on the enabler project so that they can compute the drag cost of activities and identify critical path opportunities where they can “spend money to make money” for the program. #1. That the bridge is an enabler for all the other (financial value) projects. #2. That it is the direct predecessor of the other projects and is ON the program’s critical path. #3. That its drag cost is therefore based not just on how much NOT delaying the collection of tolls is worth, but ALSO on NOT delaying the revenues from the hotels, shops, etc. All the activities on the bridge project that have critical path drag have a drag cost equal to the sum of the impacts on all the other projects! If we can save a week by spending $1M to accelerate the paving (if it is on the CP), that week saved would have had a drag cost of just over $3.5M. Spend $1M to save $3.5M? That’s what an opportunity looks like! That is why it is so important to identify enabler projects — because of the huge opportunity offered by their drag costs, which can result in millions of dollars of added BUSINESS value, which can be turned into what may be defined as FINANCIAL value, e.g. revenues. To re-emphasize, from an accounting viewpoint, the “financial value” distinction may have validity. But from an investment (i.e., program) point of view, this is not only a distinction without a difference – it’s a dangerous distinction if it prevents the program from taking steps to maximize the business value! Indeed, is this accounting distinction a part of the reason that projects and programs are not generating the benefits they should? If so, how tragic! Of course, by this narrow definition of “financial value”, the hotels, restaurants, golf course, etc. in the Paradise Island program should also be of no financial value! The ONLY things of financial value are those “projects” where the hotel clerks, waiters, etc. run the guests’ credit cards! Of course, those clerks’ projects are worth only a few dollars. The hotel project enables them, and therefore has a business value of $2M/week plus (the plus coming by kindling the value of the golf course and marina, which would likely generate less revenue without the availability of the hotels). The bridge project enables everything else, and therefore has a much greater business value. And it also has lots of project management opportunity for increasing the program’s financial value! The value impact is based in the completion of the program — but the TIME impact is the drag on every critical path activity, constraint, or other delay that contributes to the project duration. Critical path analysis clearly shows that it is not just the last activity or two in the project that delay completion – it is every activity (and bottleneck, constraint or other delay) on the ACTUAL (or as-built) critical path that delays project completion by the amount of its drag. Even the very first critical path activity in a large and long program delays completion! The flow of projects within the program and its tranches of projects needs to be laid out showing the importance of each. But also the value of each, in monetary terms (because resources cost money), should then be entered into the program’s value breakdown structure (VBS). This can then be used by the project teams on the program’s critical path to compute project drag cost, seek opportunities for trading resource dollars for drag dollars, and thus to optimize the program. The fortunate thing is that, as I wrote in my blog article of March 4th titled “Educating the Boss!”, senior management usually understands these investment concepts very well. What they often don’t understand is (1) the detailed technical aspects of IT, manufacturing, plant maintenance, immunization, or whatever the project’s work is; and (2) the detailed aspects of project management: critical path analysis, resource bottleneck identification, resource leveling, and earned value tracking (benefits and distortions). Unfortunately, the project-level personnel often don’t understand the language of investment! They have been trained in technical stuff that’s very complex and valuable: engineering, programming, sales, manufacturing, immunology, etc., but usually not in investments and investment analysis. If I had ten dollars for every project-level person I have taught over the past quarter century who did not understand even a simple investment concept like sunk cost, I’d have a lot more money! Are there project managers who understand investment? Sure, just as some senior managers understand PM concepts like critical path analysis. Those folks who are strong in both areas are extremely valuable to an organization. But they are also rare! Educating senior managers about those specific project-level techniques of which they need to have at least a moderate understanding (without getting into the weeds! 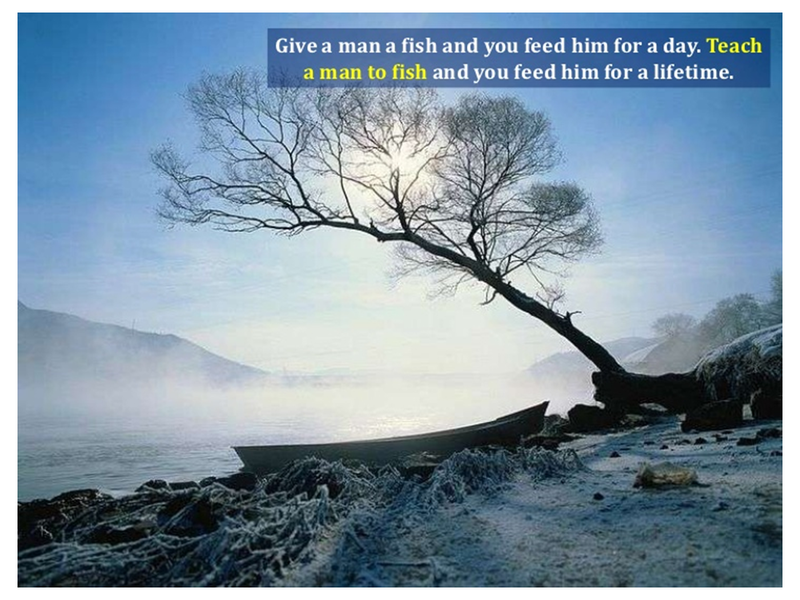 ), and how to implement them and encourage their use in their organizations. Educating project and functional managers and engineers of the investment aspects of these techniques. The DIPP and DPI as scope/schedule/cost/risk-integrated indices for tracking and optimizing the expected value of the project/program investment. The key is that ALL programs and projects ARE investments, and decision-making at any level WITHOUT reference to investment impact is doomed to (a) usually be less than optimal, and (b) sometimes be downright disastrous! How to Determine the Expected Value of Those Crucial Enabler Projects! Making every project and program decision with the impact on expected value (and the DIPP) in view. One of the crucial types of projects to deal with as an investment is the sort that in my book Managing Projects as Investments: Earned Value to Business Value is referred to as an enabler project. An enabler project is usually part of a larger overall program. Its value comes from its role in increasing the value of the overall program by enabling the other projects (and perhaps non-project work) in the program. In that role, its value is enlarged by the value of the projects it enables. Its acceleration or delay value/cost is therefore also often increased because of its impact in delaying or accelerating the schedules and value generation of the other projects. 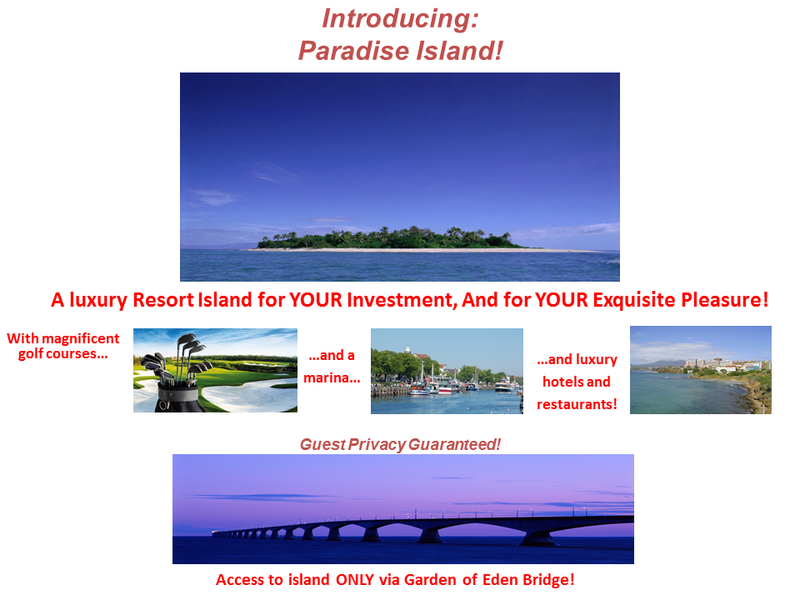 Paradise Island Luxury Resort will provide luxury vacation time for the whole family! Five-star hotels and restaurants, as well as boutiques for the rich-and-famous. These are expected to generate an average of $2 million per week above operating costs, or $520M over 5 years after the Grand Opening. A championship-quality golf course, where the greens fees are expected to generate $1 million per week above operating costs, or $260M over 5 years after the Grand Opening. A marina for luxury yachts, expected to generate $0.5 million per week above operating costs, or $130M over 5 years after the Grand Opening. To allow the guests to reach the island once the resort is opened. It is planned to take 52 weeks to make the bridge ready for the transportation of equipment and materials. Only after that point can work start on the hotels, restaurants, boutiques, golf course and marina. The Grand Opening of the entire resort with all its features is intended for 104 weeks after transportation across the bridge becomes possible. When the resort opens, a tollbooth will be placed on the bridge. It is expected that tolls will amount to $1,000 per week above operating costs, or $260,000 over five years. What is the expected value of the entire resort over five years? What is the expected value of Garden of Eden Bridge over five years? What is the value/cost of time on the Garden of Eden Bridge project? Based on the information above, how much would it be worth if we could shorten the bridge project by six weeks? If the Garden of Eden Bridge is being built by a contractor on a fixed price contract, what should the customer insert into the contract? What is the expected value of the entire resort over five years? Combined, the Paradise Island Resort is expected to generate $3.5M per week above operating expenses, or $910M over five years, plus $260,000 in tolls from the Garden of Eden Bridge. What is the expected value of Garden of Eden Bridge over five years? $910.2M over five years! There is no value unless we build the bridge – it enables the entire project! So the value-added of the bridge project is equal to the value of the entire luxury development program. What is the value/cost of time on the Garden of Eden Bridge project? Any delays on the bridge delay all the other projects, and the resort opening, on a one-to-one basis. Therefore the value/cost of time on the bridge project is $3.5M per week (+ $1,000 per week for the bridge tolls). In other words, that is the drag cost per week for every activity on the bridge project’s critical path. Based on the information above, how much would it be worth if we could shorten the bridge project by six weeks? Each week that we can shorten the bridge project is worth $3.5M per week + $1,000. That means that the expense for additional resources that cost up to $21M (+$6,000 for the bridge tolls!) would be justified. Suggest amending the contract to include time-based incentives that would maximize the customer’s value. This is a very simple — but easy to understand — example of an enabler project and the importance of identifying it as such and of computing its multiplied value/cost of time. What are some other examples of enabler projects in the real world? Have you worked on any? Were their unique value aspects, as shown in this example, understood and exploited? If you have other examples from your experience, please describe them in this website’s Discussion FORUM here. I recently engaged in an email discussion with a friend and colleague on the topic of innovation and new ideas in project management. My friend pointed out, correctly in my opinion, that there can be very few worthwhile techniques in project management that someone hasn’t thought of and used in the past. I think there is much truth to this. Ancient Egyptians surely must have been using some version of CPM, and even resource leveling, for the pyramids – after all, such methods are largely common sense even if a computer is not available. I’ve been reading Walter Isaacson’s book The Innovators, which I enthusiastically recommend to all. One of his themes is that “collaboration” is often over different periods of time, and new ideas are almost always tweaks of previous ideas: enhancements or creation of new contexts. Sometimes an idea just appears before the appropriate context for it is ready. Leonardo da Vinci and other Renaissance thinkers designed the parachute, but it would be centuries before the internal combustion engine and the Wright brothers would lead the way to make it a practical and life-saving (not to mention military) contraption. This was truly a “temporal” collaboration, stretching across the centuries. Project management’s traditional techniques and metrics like WBS, critical path analysis, resource leveling and earned value are not going to go away and be replaced by something else. Rather, they will be improved, enhanced, and perhaps narrowed to specific areas where their applicability is best fitted. The concepts in my book are quite different from standard PM fare, as the title should indicate. They lay out a different overall approach, with enhanced techniques and metrics that aren’t found in books by other authors. So I do feel that, as a coherent methodology which includes these specific technical and metrical innovations, my approach is new. But in no way do I believe that each is not the product of a temporal collaboration, with my ideas being bricks that add to the work of those true giants who developed the WBS and CPM and resource leveling and earned value. I feel sure that most of my specific techniques have been thought of and applied on specific projects before – how could something as obvious and valuable as critical path drag not have been previously calculated by schedulers, not just once but many times? It’s just that the concept and the method for doing the calculations have not made it into PM software or the various PM standards of the different national and international organizations. The omission of ROI-based user input fields in PM software that would allow planning, tracking and optimizing of a project’s investment value. The creation of a method for measuring and indexing, in integration, the three sides of the Iron Triangle of scope, cost and schedule. This is what the DIPP and the DIPP Progress Index (DPI) do. But again, the knowledge that the project investment is impacted by scope, cost and schedule has been well known for decades, if not centuries. The DIPP metric simply extends earned value metrics and analysis to a project’s investment value. The value breakdown structure (VBS) is simply an extension of the work breakdown structure that can be used to itemize scope’s value, set priorities, and ensure that the value-added of work is greater than its true cost. Critical path drag is just an extension of critical path theory; drag cost just combines it with the value of project time; and true cost (TC) just combines drag cost and budgetary cost. The cost of leveling with unresolved bottlenecks (the CLUB) for a specific resource is simply a way of combining the reduced investment value due to a delay with the specific resource causing that delay, on a single project, across a multiproject portfolio, and across an entire organization. But it rests on old techniques such as critical path analysis and resource leveling. The doubled resource estimated duration (the DRED) is simply a technique for measuring something every project manager understands and tries to deal with subjectively, but has not previously had a quantified way of estimating and managing: the varying resource elasticity of different activities in terms of the sensitivity of their durations to increased resource availability. I believe that all of the new concepts in my book are valuable, or I wouldn’t have written a book about them. But they are merely enhancements to the core techniques of which others conceived and then “worked out the bugs”. Reader Jim Ward posted an interesting comment at the end of my last article, about the PMBOK® Guide Sixth Edition Wish List. Among other points, Jim suggested that material should be deleted from the Guide, rather than added. He also suggested that much of the material that I recommend adding would be way beyond the abilities of most project managers. I urge you to read what Jim wrote, and then to click here to go to the Discussion FORUM and to weigh in with your opinion. I’ve already expressed some thoughts, but I’d love to hear yours. Are the abilities of PMs really so lacking? If so,what should be done? PMBOK® Guide Sixth Edition: What Would You Like to See Added? Sometime in 2016, the next edition of the PMBOK® Guide should be published by the Project Management Institute. We could wait until too late and then complain about how the hard-working folks who author the “bible” haven’t seen fit to include our pet terms, techniques, metrics and ideas. Or we could start now by developing a list of items that we feel it should include, and perhaps either someone will notice it or we can summarize it and email it to PMI for consideration. Toward this goal, I am starting a “PMBOK® Guide Sixth Edition Wish List” thread in the Discussion FORUM attached to this blog. I hope that readers will weigh in with their own suggestions/nominations, as well as comment on the suggestions of others. And periodically I will compile a summary of them. For starters, here are ten items that I personally think should be included in the next edition, listed in descending order of how valuable I feel the inclusion of each would be. I will follow each with a brief explanation or descriptive link and a five-scale rating, running from VL (for Very Likely) to L to M to U to VU (for Very Unlikely), of my estimate of the probability of each being included. 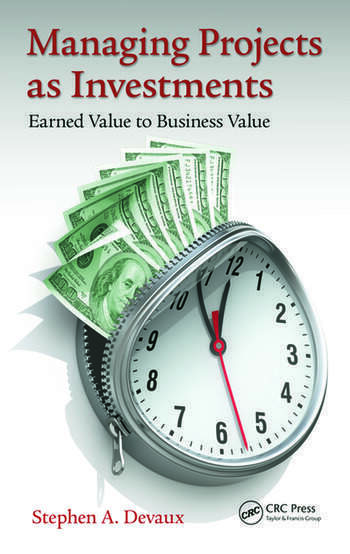 What are the commonalities of business value across any and all organizations? Well, here are ten to start the ball rolling. C’mon, now, you must have some ideas too, don’t you? CCPM folks? Agile expansion suggestions? Add them to the list. A New Book Review by a Critical Chain Aficionado, and What Does Each of My Books Offer? A lot happened this past week: a trip to DC to present to the PMIWDC Chapter wound up leading to a meeting with a very bright and knowledgeable CCPM aficionada and author named Mike Hannon of Fortezza Consulting. Mike had recently read my book Managing Projects as Investments: Earned Value to Business Value, and had some very interesting questions and comments. He and I wound up in complete agreement that the Total Project Control (TPC) ideas, innovations and metrics described in that book offer great value to project management in any flavor: agile, CCPM or traditional. I urge all readers, but especially those CCPM or agile fans who have often been resistant to the new techniques I’ve suggested in various Internet discussion groups to, first, read Mike’s review and then consider reading the entire book. None of us is helped by shutting our eyes to new ideas in any discipline, but particularly in one that is still young and growing and clearly in need of improved practice. Indeed, on the flight back from Washington, I began reading Mike’s (et al.) book The CIO’s Guide to Breakthrough Project Portfolio Performance: Applying the Best of Critical Chain, Agile, and Lean, and I am finding it most interesting! I plan to post a review here when I finish it, not simply to return Mike’s courtesy but because distribution of good new ideas is something that all of project management needs! In the June issue of PMI’s PM Review. From Ten Six Consulting’s blog. Managing Projects as Investments: Earned Value to Business Value is written for an audience of project managers on up the hierarchy, to functional managers, program managers, project sponsors and customers and, especially, senior management. It describes many of the destructive aspects to current approaches (arbitrary deadlines, misunderstood and misapplied metrics, failure to quantify and track both the expected project value and the value/cost of time’s impact on that value) and provides simple fixes for these flaws. It provides simple examples of the value and application of critical path analysis and critical path drag, but does not “get into the weeds” of the sort of detail where a PM or professional scheduler should be comfortable. Finally, I believe the final two chapters provide one of the most succinct yet thorough descriptions and analyses of earned value management (EVM), both basic and advanced, both distortions and fixes. Use drag analysis to recover a slipping schedule during execution. 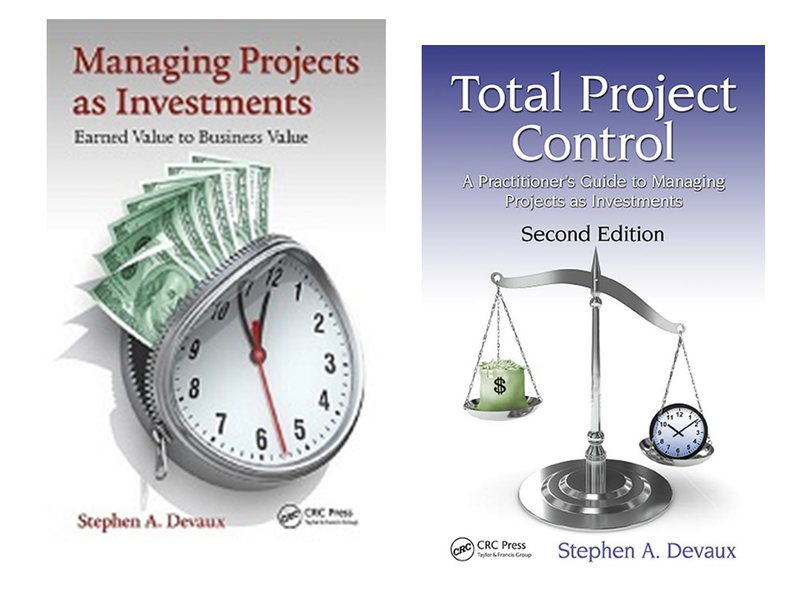 As far as uses as textbooks in graduate courses is concerned, I believe that Total Project Control is the best one for a basic text in a Master’s of Project Management degree program. It will teach serious PMs and schedulers all of the rudiments as well as many advanced techniques. A project manager who has mastered these concepts is one that I would hire. By contrast, Managing Projects as Investments is a text I would recommend in almost any MBA program! Our MBAs desperately need to be, but frequently aren’t, able to understand, analyze, sponsor and control project performance, as well as to create organizational structures and processes that will stem the ubiquitous bleeding of both value and funding that is the current state of things. And I would also recommend it as an auxiliary text in an MPM program course to augment and enrich one of the 700 page tomes in project operations that are so often used to teach the basic techniques, but do so in a rather lifeless fashion. In addition, if any instructor assigns either of my books and then has their students critique them, I would be delighted to engage in a dialogue with the students on the topic(s) of their comments. Those are my feelings about my books. If you have any further comments or questions, please do not hesitate to raise them in the discussion FORUM. After a cold spring, weather in Boston is finally nice and so I’ve decided to offer readers another little Weekend Puzzler, this time on earned value and DIPP analysis. But before I explain the puzzle, I want to mention that I was interviewed on Blog Talk Radio by Elaine Jackson (a fellow Bajan!) of Holistic Consulting Project Management. The topic, which you can listen to here, was “Financial Success of Projects Using the Critical Path Drag Method.” It runs about half an hour. First, let me say that, as a teacher, it has always been my belief that every exercise, quiz and test should teach as well as evaluate. So that is how this Puzzler is intended. Next, here are the earned value and DIPP terms and their formulas that you will need in answering the questions. PV (also known as BCWS) is Planned Value and is the earned value baseline (and should be called PC for planned cost). It is the cumulative budgets for the activities as scheduled. EV (also known as BCWP) is Earned Value, the cumulative budgets for the activities that have been performed at any given point of project progress. AC (also known as ACWP) is Actual Cost, what it actually cost to perform the work that has been performed. CPI is the Cost Performance Index or EV ÷ AC, the ratio between the budgets and the actual cost for work performed. It is used for trend analysis in estimating the project’s Cost Estimate-at-Completion (Cost EAC). Cost EAC is Cost Estimate-at-Completion, or what the project will cost if current spending trends continue. It is calculated using the formula: Cost EAC = Budget at completion ÷ CPI. Cost ETC is Cost Estimate-to-Complete, or how much more the project will cost from any given point onwards, subtracting sunk costs. It is calculated using the formula: Cost EAC = (Budget at completion ÷ CPI) – AC. EMV is the expected monetary value of the project if completed on a specific date. Acceleration premium is increase in EMV if a project is completed early. Delay cost is the reduction in EMV if a project is completed late. The Planned DIPP (DIPP stands for Devaux’s Index of Project Performance) is the baseline for the ratio between a project’s EMV and its Cost ETC (ignoring sunk costs). It is calculated using the formula: Planned DIPP = $EMV ÷ Planned Cost ETC. Actual DIPP is the project EMV plus or minus an Acceleration Premium of Delay Cost if it is ahead or behind schedule (usually generated through the SPI), all divided by the Actual Cost ETC (usually generated through the SPI). It is calculated using the formula: DIPP = ($EMV ± $Acceleration Premium OR Delay Cost) ÷ Planned Cost ETC. DPI stands for DIPP Progress Index. It is the ratio between the actual expected profitability of a project at any given point of progress (taking into account schedule acceleration or delay, but factoring out sunk costs) and the planned expected profitability at that point. It is calculated using the formula: DPI = Actual DIPP ÷ Planned DIPP. Our geologists have just discovered that beneath a piece of real estate that we happen to own lies a rich pocket of phlogiston. They have performed tests which show that we should be able to recover 10,000 kilograms of the substance. Our commodities analysts have informed us phlogiston is currently selling for $10,000 per kilogram on world markets. However, that price is currently trending down at an average rate of $100 each week. Additionally, the Tierra del Fuego Megamine is due to start producing in 50 weeks. 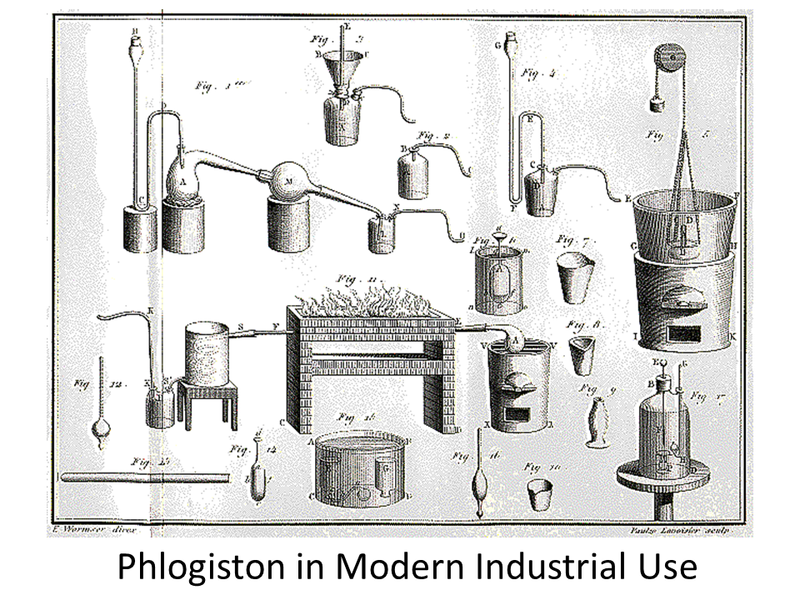 That is expected to so increase the availability of phlogiston for industrial use that starting at Week 51, the price of phlogiston is estimated to start falling at $200 per week. We begin a 50-week project, with a budget of $10 million, to recover the phlogiston and sell it. Q1. What is the expected value of the 20,000 kg. of phlogiston if we could get it right now? Q2. What is the EMV of the project with its 50-week schedule? Q3. What is the EPP of the project with its 50-week schedule and $10M budget? Q4. What is the Starting DIPP of the project? Q5. What would be the acceleration premium for each week less than 50 if we could speed up the project? Q6. What would be the delay cost for every week more than 50 if the project takes longer? Q7. What is our current CPI? Q8. What is our current Cost EAC based on the CPI? Q9. What is our current Cost ETC based on the CPI and AC? Q10. What is our current SPI? Q11. What is our current Estimated Duration based on the SPI? Q12. What is our current estimated schedule delay based on the SPI? Q13. What is our current expected delay cost based on the SPI? Q14. What was our project’s Week 20 Planned DIPP? Q14. What is our project’s Week 20 Actual DIPP? Q15. What is our project’s current DPI? Q16. What is our project’s current EPP? Q17. If we have all this data (including EMV and the value/cost of time! ), what are some of the things we might do to improve the situation? Q18. If there is nothing we can do to pull in the schedule, but there are also no other issues such as opportunity costs, project termination costs, salvage value, etc., should we terminate the project at Week 20? Scroll down below my sig for the answers. I’ve been developing and teaching techniques and metrics for managing the business value of projects for over 20 years. My first major article was “When the DIPP Dips: A P&L Index for Project Decisions”, published in the Sep/Oct 1992 issue of Project Management Journal. 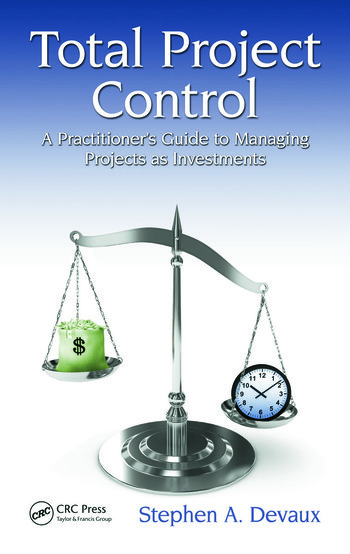 And the first edition of my Total Project Control book included techniques such the DIPP Tracking Index, the value breakdown structure (VBS), drag cost and the cost of leveling with unresolved bottlenecks (the CLUB): all techniques for managing and tracking projects for optimum value. But something was missing. I would explain these techniques to experienced project managers in corporate classes and PMI seminars, and from time to time I’d be hired as a consultant to help plan a big project or pull in a slipped schedule. And then I’d leave and realize that I’d only handed the organization a fish. Despite my efforts, I had failed to teach them how to implement the processes to catch it themselves. I started thinking: what is it that I’m missing? Why is it that senior managers have almost no interest in learning about the techniques of something that so clearly impacts an organization’s bottom line? And so it finally hit me: the concept that I had been talking all around for two decades, the magic word that would make senior managers sit up and take notice. Investment! The thing that senior managers do understand! Not just understand, but respect and study and believe in planning and tracking and optimizing. Project managers are subject matter experts. They are engineers and chemists and programmers and biologists and doctors and geologists and… They know a lot! They have not only extensive education, but experience in things that it is very important to know! Where they often don’t have a great deal of knowledge is in terms of what some would call “business skills”: investment and economics and marketing. And you know what? That’s okay! Knowing how to make sure that the building doesn’t collapse, or the airplane crash, or the software consume the hard drive, or the pharmaceutical compound kill someone, or the ground water get polluted… That’s hard and that’s important! Yes, it would be nice if these smart and conscientious folks also had business knowledge and skills – but if we want those skills, they are going to have to be “add-ons”, because these people have been busy all their lives putting their energy into other very valuable knowledge. And that’s why corporations bring in people like me to teach their SMEs project management. Executives have learned an awful lot as well: about investment and economics and marketing and taxes and interests rates and corporate bonds and organizational structures and behavior… and that’s all important stuff too. What they don’t know about is project management. And most of the time, they are not willing to attend project management classes. Now, I’ve met some senior managers who seem to think that project management is somehow “beneath” them. (After all, what’s the big deal about delivering a mall or a jet fighter or an oil well or a cure for depression by an arbitrary deadline for an arbitrary budget, right?) But actually most senior managers I have met are bright and conscientious people, too! It’s just that no one has explained to them why knowledge of project (and program!) management – its techniques, metrics, and governance — is importance to what they do: especially investment! This is where both sides have to learn! They have to learn a common language. They have to institute and use common metrics that are based in the investment information that senior management respects. But those metrics must then guide the project teams in making the right decisions, and senior management must know that this is occurring. This is the approach that I took in my book Managing Projects as Investments: Earned Value to Business Value that came out last September. It was intended to provide the “common ground”, the knowledge and understanding that both senior managers and project managers need to share. And that is why it was so rewarding for me when the June issue of PM Network included that very nice review of the book by Gary Heerkens, himself the author of The Business-Savvy Project Manager, which I strongly recommend. Do not be fooled by Gary’s humility! His own book and his regular writings in his PM Network column have taught me a great deal that I didn’t know. Both of us (and let me emphasize that I have never met Gary!) share a love for project management, a desire to learn and, most important, a willingness to admit when we don’t know something. But what makes me happiest is that he identified, without any assistance from me, the deepest intention of the book: to create, define and explore that crucial nexus between the project management discipline and its techniques and the senior management interest in, and concerns about, business value and investment. By the way, I have seen this work in a slightly different arena: job interviewing. I often mentor former students through the interview process, and I always urge them to say, at an appropriate point: “Of course, all projects are investments and really need to be managed as such.” They invariably report back to me that the hiring manager’s face lights up. The next former student that tries this technique and later reports that they didn’t either get the job or at least get another interview will be the first! This territory is also where this blog will continue to cultivate and nourish the improved status of and respect for project management. I believe it is where project/program management and business management must come together for the sake of organizational progress and efficiency. Yes, this is about my schedule to talk about scheduling. 1. CHANGED!! NOW SCHEDULED FOR THURSDAY, JUNE 11, AT 2:00 PM US East Coast Time! (Was scheduled for Wednesday, June 10th). I will be interviewed on radio by Elaine Jackson of HolisticPMC on the topic of “Financial Success of Projects using the Critical Path Drag Method.” Elaine is the possessor of a sharp intellect who I am assuming will ask some great questions. The interview can be found by tuning in here, and listeners can call in to the host at (US) 718-508-9748. 2. A week from today, Tuesday, June 16th, I will be at the Fairview Park Marriott in Falls Church, Virginia, at 5:30 pm to make a presentation for the PMIWDC Chapter in its continuing series on PM Tools. My presentation is titled Managing Projects as Investments: The Benefits of Computing Critical Path Drag and Drag Cost. You can find details here. 3. My third note is just to point out a very interesting thread started by Thomas Boyle over in the Software Discussion FORUM. Apparently Mr. Boyle has enhanced his company’s software tool called BPC Logic Filter, an add-on to Microsoft Project, so that it computes critical path drag. Of course, this is very exciting to me because all PM software should have the functionality to compute this critical(!) schedule analysis metric. Mr.Boyle is asking for input. If you use MS Project and would like to be able to compute drag, post a comment over there. I hope to post another article later today. Ten Consequences of NOT Regarding Projects as Investment! Why is Critical Path Analysis Not Being Used?